150's and 3150's are traditional electric guitar string with a pure nickel wire warp cover lightily nolled to reduce finger noise. Available in standart ball or fender's patented super bullets end. 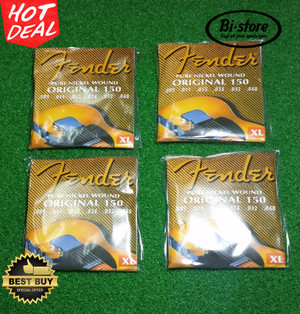 Check with your fender dealer for additional string sets and other genuine Fender Replacement Part and Accesories.